A professional summary is the first thing people are going to see on your resume. If you write it badly, it might also be the last thing. Hiring managers are busy people. They read through hundreds of job applications every day. And as you probably suspect, it’s a tough and boring job. Your resume can easily get lost in the pile. But not if you try to make their lives easier. How do you do it then? You hook hiring managers right in—with a professional summary that provides the most important information from the get-go. What’s more, most people don’t bother writing a professional summary. Which means that if you do, you’re going to stand out like swans amid a gaggle of geese. What is a professional summary. How is it different from a profile or resume objective. How to write a professional summary on a resume. 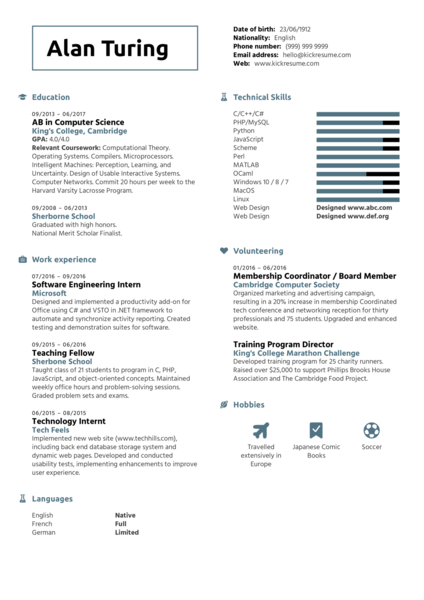 How to improve your professional summary based on resume examples. You can have your resume ready in minutes. 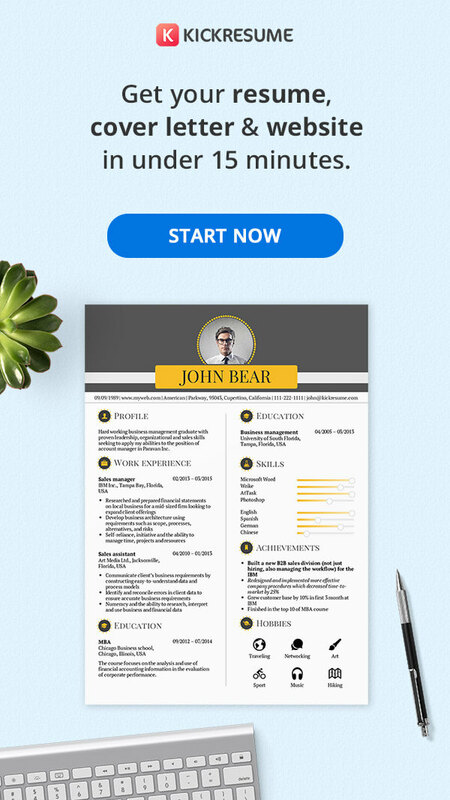 Try our resume builder and get hired fast with a resume that catches the eye. Want to see for yourself? Check out our database of 200+ resume examples by real people who got hired at the world’s top companies. 1. What is a professional summary? A professional summary is a list about 4-5 bullet points long. It summarizes your skills, experiences and achievements as they pertain to a job opening. You can think of it as a teaser for the rest of your resume. It has many names. Some people call it a professional summary. Others know it as a resume summary, qualifications summary, or a resume statement. The main goal of a professional summary is to make your most important skills and experiences immediately noticeable to hiring managers. And to make them read the rest of your resume. The harsh reality is that hiring managers only spent an average of 6 seconds on each resume. Moreover, these 6 seconds are really just that — an average. When a hiring manager decides to read a resume to the very end, they spend much more time on it. Which means that, in reality, you have even less time to make an impression. How do you ensure your resume doesn’t get discarded, then? 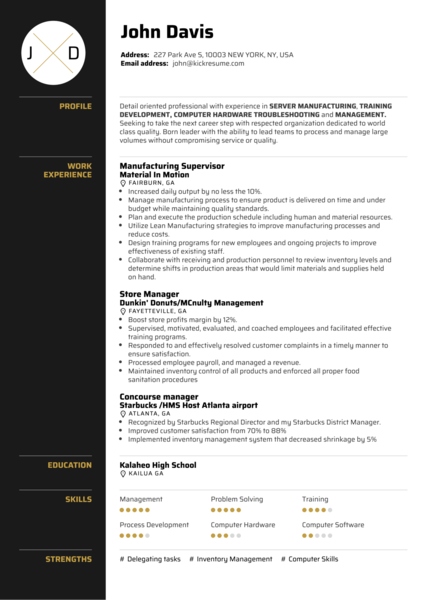 By putting a great resume summary at the top of the page, of course! This way you’ll catch the hiring manager’s attention from the get-go. 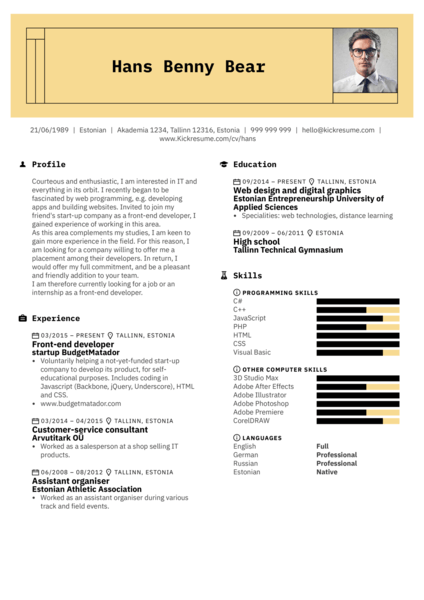 How do you make sure that your resume summary is actually good? See? 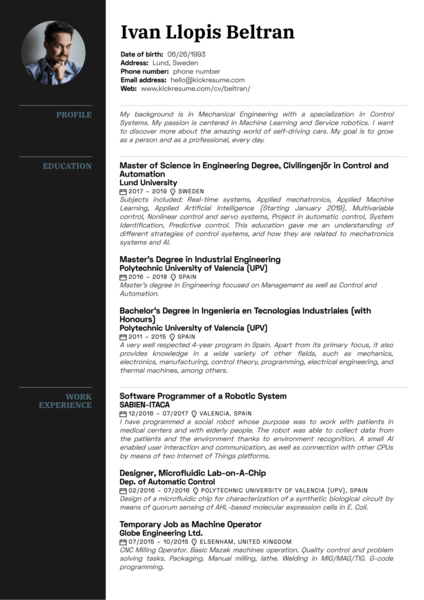 This resume summary is almost impossible to skim without paying attention to what it says. Which means that it works as intended. Why? Instead of telling hiring managers about what the candidate wants, it tells them what the candidate can bring to their company. The form also plays a part. 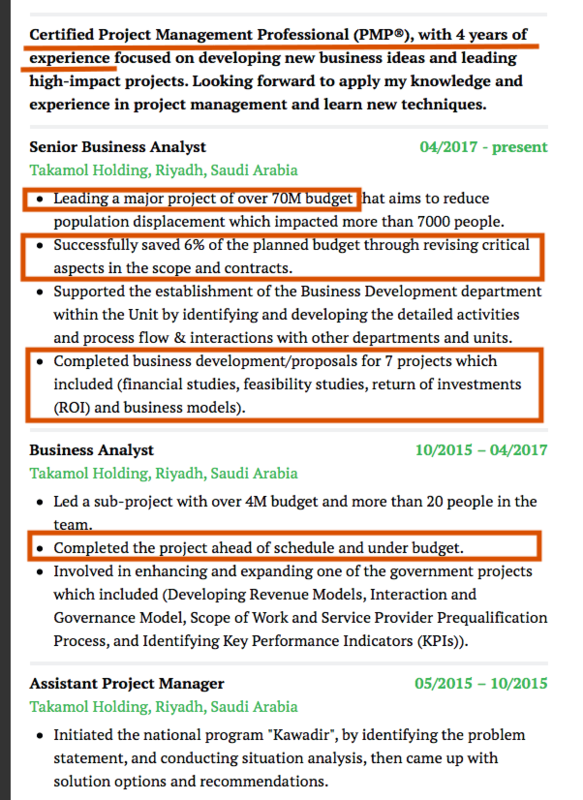 This professional summary is nicely organized into bullet points, quantifies achievements, it's packed with relevant keywords and has a really nice heading. If you're not sure how to make your resume look nice, just use a resume builder. It'll do it for you. But wait! A resume summary is NOT a resume objective, although people often confuse the two. What is a resume objective then? It’s quite okay, right? 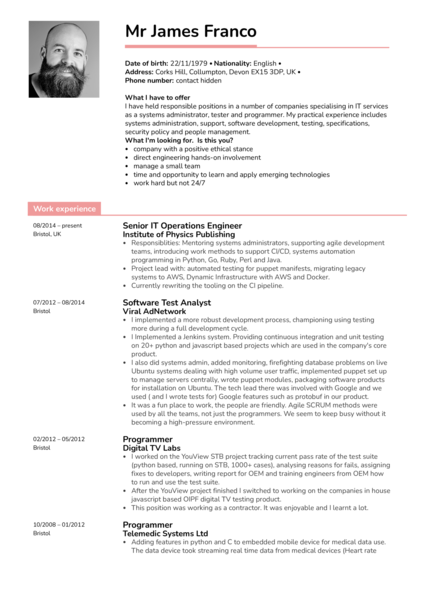 Still, it pales in comparison with the resume summary above. Part of the reason is that it lists your goals, not your qualifications. Which is okay, but it doesn’t help hiring managers see if you’re qualified enough to solve their company’s problems. For this reason, you should only go with a resume objective if you’re a student, fresh graduate or if you’re changing careers. It can be really useful if you have no relevant experiences to speak of yet. 2. How to write a professional summary? 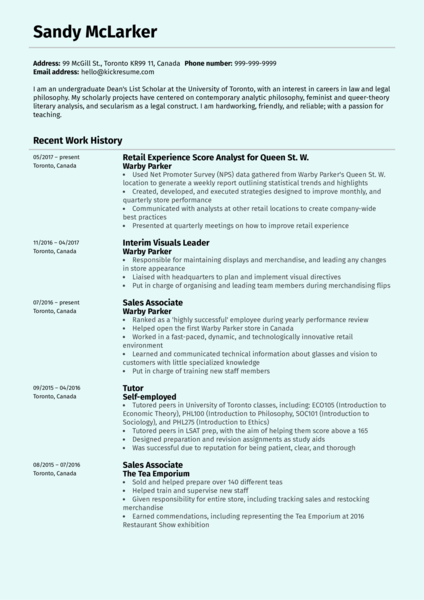 Think of your professional summary as a teaser for the rest of your resume. In other words, you want your professional summary to contain all the most exciting parts of your resume. Write your professional summary last. It’s surprisingly easy if you’ve already finished other sections of your resume. The first bullet point should describe your professional title. Don’t forget to add the number of years of experience. Write it in bold. Pick the 3-4 most impressive parts of your resume and reword them into snappy bullet points. Tease your potential employer into reading further. To maximize the impact, pack your professional summary with relevant keywords. Even better, try to quantify each achievement. Tie each bullet point to the requirements introduced in the job offer. Pretty good, right? Remember, we’re working with resume examples by real people here, so we have to make do with what we have. They’re good but yours could be even better. But how is this professional summary a teaser? 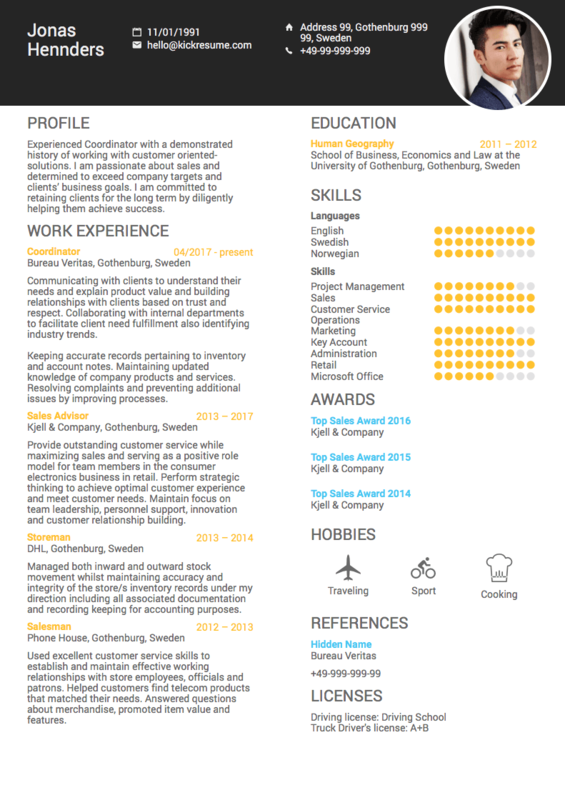 Take a look at the resume example below. It’s the one we used to make this professional summary. See? We haven’t changed that much about what was already written in the employment history section of the resume. Sum up what you have to offer to a potential employer. A resume summary should never revolve around what you want. Instead, it should clearly explain what value you can bring to the company you’re approaching. Adopt this mindset. Start with the job listing. Carefully reread the job listing and find the most important keywords. These are the nouns or phrases that best describe the job position, related skills, as well as the ideal candidate. Think about how they intersect with your own skills and experiences before you begin to write. Emphasise proven experience. Instead of simply listing your skills, mention your previous accomplishments. For example, it’s much more impactful to say that you had your articles published in the Forbes than plainly claim that you’re a skilled writer. Structure it well. Take it from a professional writer — bullet points are a godsend when you need to structure your text clearly without giving it too much effort. Not only will they naturally order your resume summary into clearly delineated logical parts, they will also make it look good and read well. Also, make sure to write your current job title in bold. Keep it short. Your resume summary shouldn’t be longer than 5 short sentences (or bullet points). 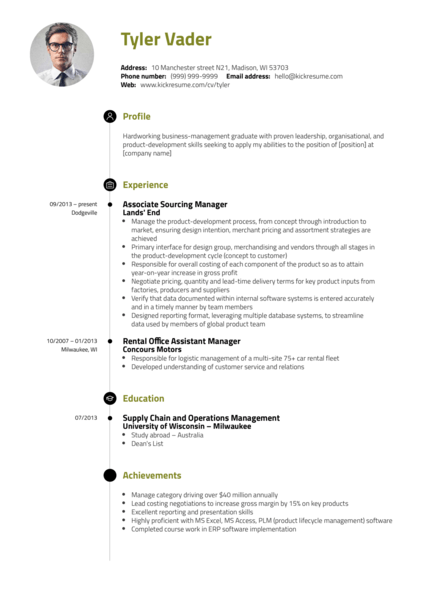 Having a long summary sort of defeats the point of having a resume summary at all. These professional summary examples were written by real people who got hired at the world's top companies. They're not exactly based on the how-to described above. At the same time, all these people scored high-profile jobs at their respective companies. I have held responsible positions in a number of companies specialising in IT services as a systems administrator, tester and programmer. My practical experience includes systems administration, support, software development, testing, specifications, security policy and people management. What I'm looking for — Is this you? 12+ years of experience in Hospitality and Hotel Management including experience in marketing, ecommerce, sales and executive management within international chains. A key team member with strong leadership and ability to work under pressure. Trilingual with fluent verbal and written skills in Arabic, English and German languages. Experienced in dealing with different cultures and nationalities. 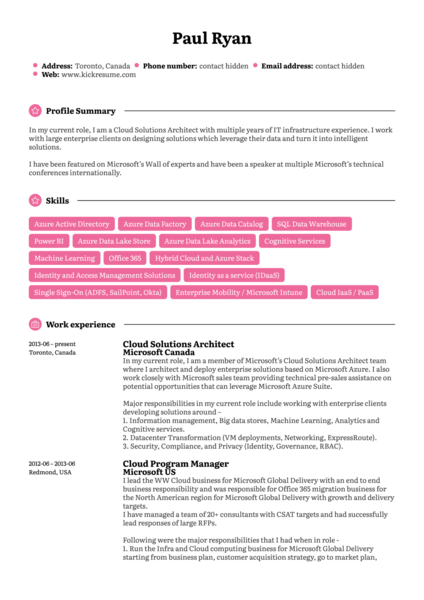 7+ years of Business Analyst and IT Consultant experience with extensive international experience. Possess Master’s Degree in Information Systems from the University of Economics in Prague. Excellent communication (verbal and written) and interpersonal skills; able to communicate effectively to management, users, developers and cross-functional team members. AWS Certified Solutions Architect. Started in early e-commerce in 1999 while completing Computer Science at the University of Melbourne. Continued work in the field in Melbourne until 2004, then moving to Germany for a year. Worked in Germany primarily in Business Application Integration and CRM, also learning German at night school. Worked for Ogilvy as DBA for their Loyalty programs, Business Intelligence unit. In 2011 returned to Melbourne to build a digital video platform. Architected, hired and lead the dev team to build a video platform, touching areas such as streaming video, digital contract, set-top box systems and music delivery to Spotify and iTunes. Recently consulted to NAB for Cloud Architecture, and achieved AWS Certified Solutions Architect — Associate qualifications. Currently seeking architecture and consulting roles requiring broad technical background and strengths in clear communication, organization and analysis. Passionate, customer-focused leader with a demonstrated history of 5+ years of sales and marketing experience in technology. History of building new territories, establishing and cultivating relationships to secure business commitments. Excellent communicator, with aptitude for identifying critical drivers and structuring solutions to gain revenue. 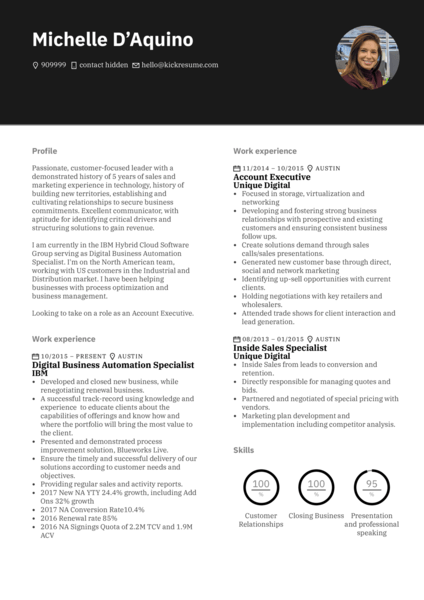 Currently in the IBM Hybrid Cloud Software Group serving as Digital Business Automation Specialist. I'm on the North American team, working with US customers in the Industrial and Distribution market. I have been helping businesses with process optimization and business management. 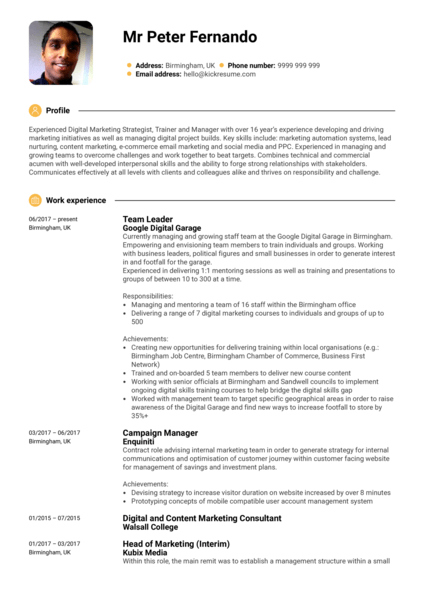 Looking to take on a role as an Account Executive.